For months, experts have predicted the Patriots will draft Stanford running back Christian McCaffrey next weekend. 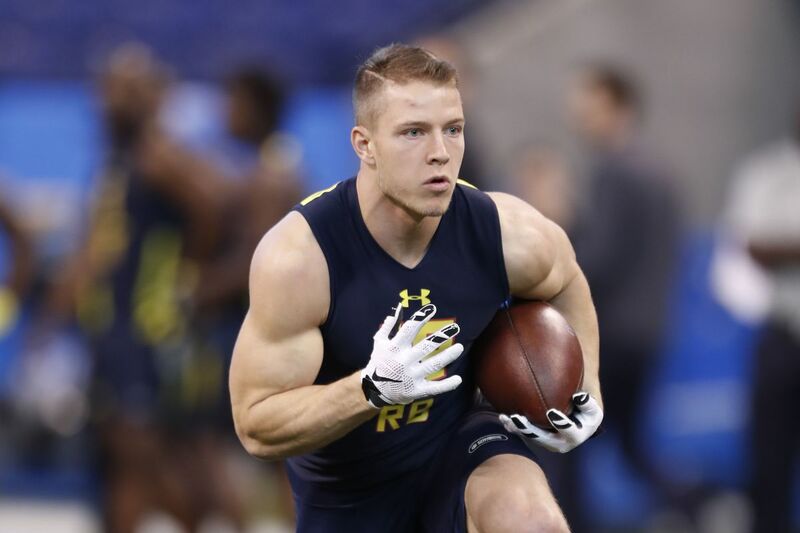 The reasons are obvious: McCaffrey was insanely productive while playing for the Crimson, and he's one of the most versatile skill players in the draft. While the chances of New England nabbing McCaffrey decreased significantly after the Pats traded their first-round pick to the Saints for Brandin Cooks, many still thought there was a good chance Bill Belichick would climb back into the first round to select the runner. That chance all but disappeared on Tuesday. Reports recently surfaced saying that McCaffrey had been given a draft guarantee by a team in the mid-teens--in other words, a team before pick #20 has told McCaffrey that they'll draft him no matter what if he's still on the board. Now, it's only a report, but the evidence does seem to corroborate that idea: he Stanford product has refused all private workout requests from teams leading up to the draft next weekend. The report didn't name the team that gave McCaffrey the guarantee, but the Colts are probably the most likely suspects. With the 15th pick and 34-year-old Frank Gore at running back, Indianapolis is a prime landing spot for the dynamic young runner. And while new GM Chris Ballard has done a very good job so far of re-shaping the defense and not being generally incompetent like his predecessor, Ryan Grigson, this does sound like a very Colts thing to do. It's a real shame, but as of now it's almost certain that McCaffrey won't be a member of the Patriots when the draft is all said and done. Thankfully, the team is solid at running back anyways, and the offense is locked and loaded for another Super Bowl run, with or without McCaffrey on it.